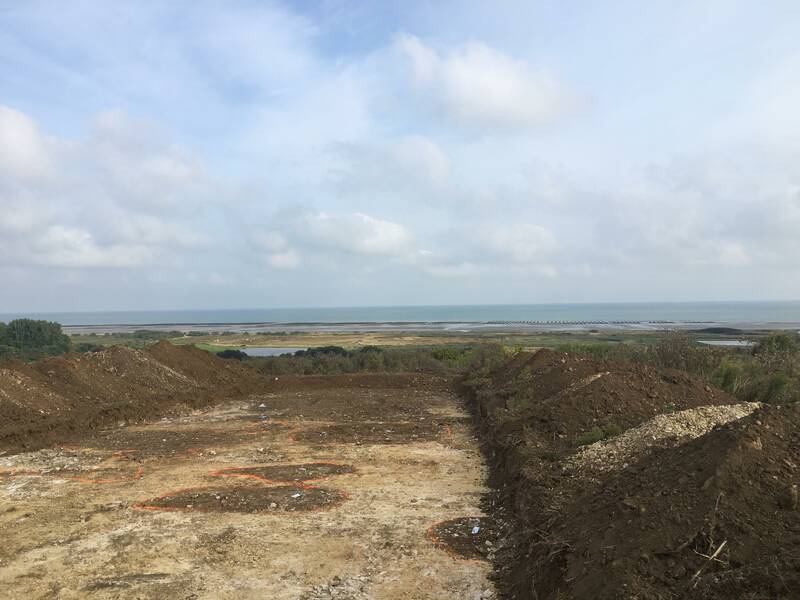 A team of French archaeologists has conducted a large-scale survey on the site on which the British Normandy Memorial will stand. The excavation represents the first major works to take place on the site itself. 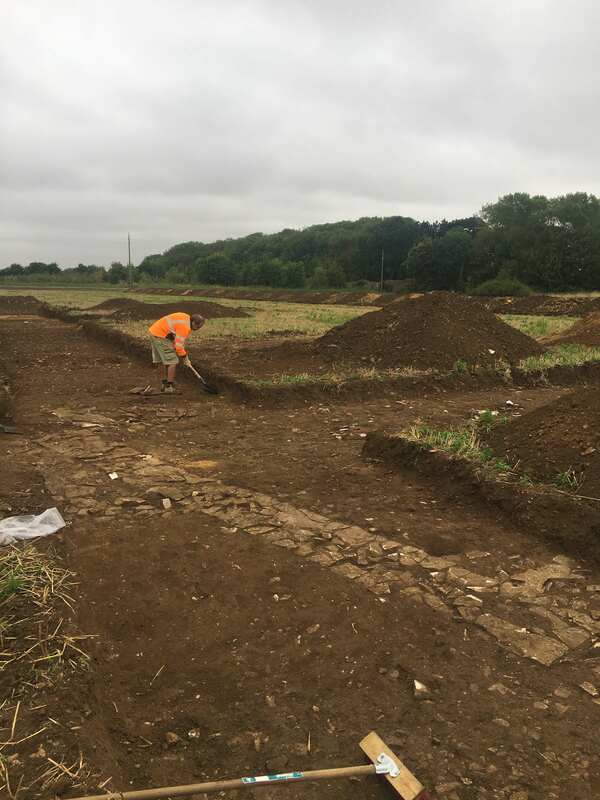 Led by lead archaeologist, Bruno Aubry, the team has uncovered remains dating as far back as the Roman Empire as well as objects abandoned by soldiers of the Second World War. 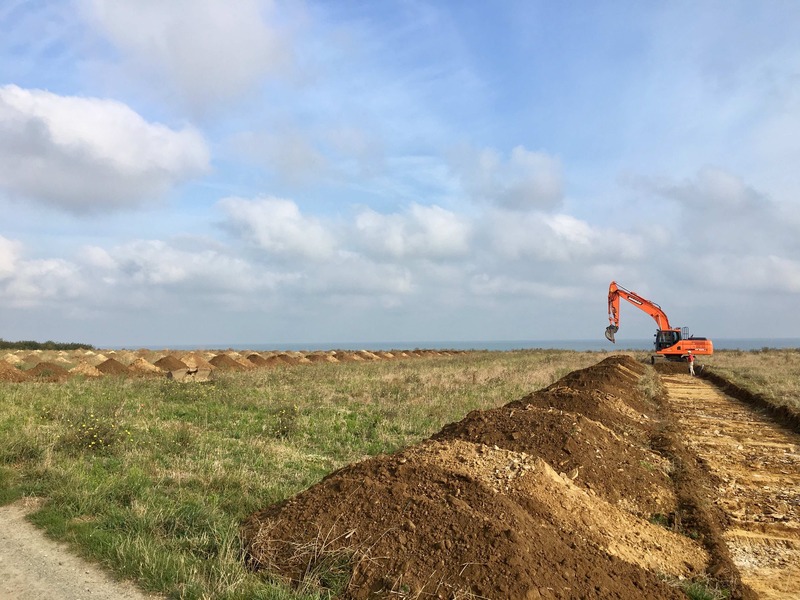 The archaeological finds are located away from the position of the Memorial and therefore they are not expected to delay the process of obtaining building permits or commencing construction works. View facing North West towards the town of Arromanches-les-Bains. Roman remains from around 300 AD. Early research suggests it was probably a small temple or shrine. 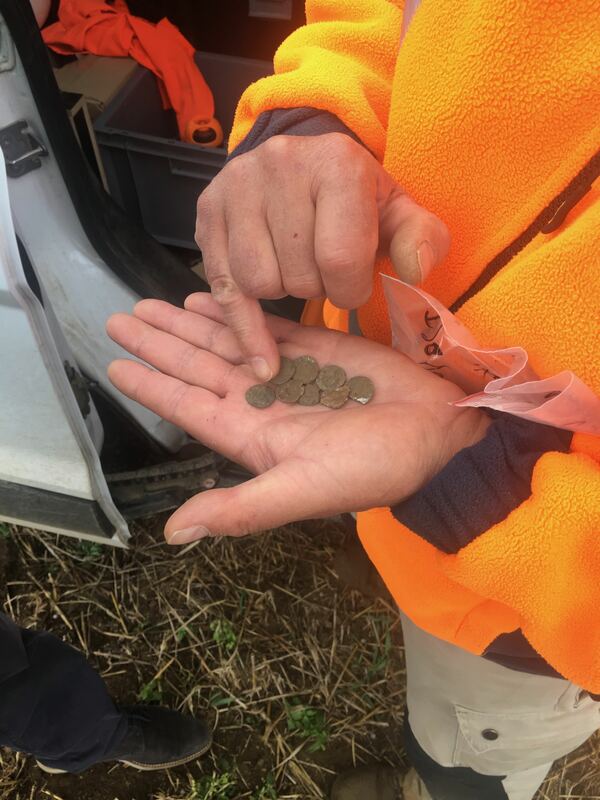 Roman coins from around 400 AD found near the shrine. Looking North over Gold Beach. Remains from circa 200 BC to 100 AD, around the same time as the Roman Empire expanded into Northern Gaul.